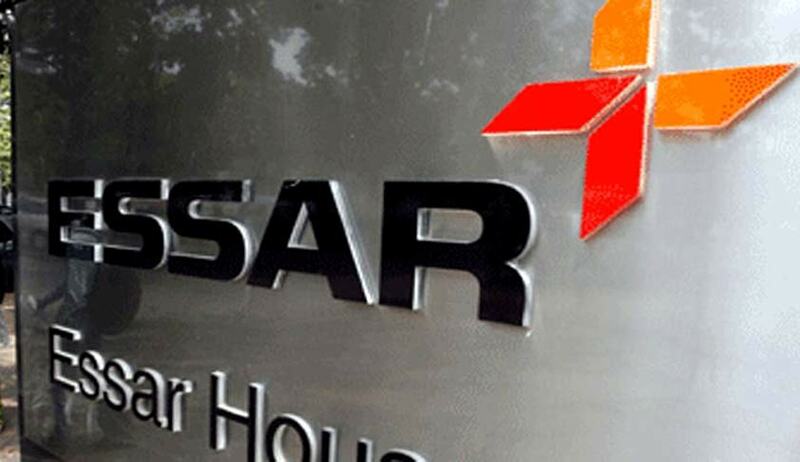 A Division Bench of Delhi High Court has adjourned Advocate Suren Uppal’s Petition seeking a court-monitored investigation into alleged illegal phone tapping of high-profile people including some union ministers allegedly by Essar. The matter came up before the bench comprising of Justices Siddharth Mridul and A K Pathak. Since Justice Pathak recused himself from hearing the matter, the Court adjourned the case to 27th June. Uppal had sought an urgent hearing claimimg that ,“Lots of incriminating data & evidence of the case are lying with the Petitioner and the inquiry and investigation in of the matter should be absolutely under the supervision of this Hon’ble Court from very inception of proceedings initiated in pursuance to Complaint dated 01.06.2016 filed before Prime Minster Office, New Delhi”. In his Petition Uppal, it is averred that “the Public Interest litigation is being preferred under Article 226 of the Constitution of India, having regard to the fact that fundamental rights of the innumerable citizens of India i.e. Right to practise business and profession, right to Privacy as enshrined under Articles 19 (1)(A) & 21 of the Constitution of India, are adversely affected/Violated by Firstly, illegal and unlawful acts of tapping for an approximate period of 2001 to 2006, of some of the prominent citizens of our country, thereby resulting in the interception and recording of numerous other phone calls including that of the Ministers in the then Government, higher government officials and top Corporate houses for deriving undue advantages thereof, Secondly, commission of most glaring and shocking acts of corruption perpetrated in our times and Thirdly, the alleged unholy nexus between the functionaries in the Constitutional institutions of our nation with few of the top unscrupulous personalities in our country”. It is alleged that the Company had given dozens of Cell-phones, Dictaphones, Samsung Voice Recorders, Voice cassettes, cassette recorders, connecting cords, tape-recording equipment, computers, CD Writing equipment and requisite money to meet the misc. expenses in the operations. After, enabling the operations with the requisite infrastructure, the Company gave the SIM Cards, each carrying 3 to 4 Activated numbers over the same, which were to be intercepted, tapped and recorded. According to him, those Conversations are of highest concern to our National Sovereignty, Safety and Security and Threatens the very foundation and Principles of Governance, Rule of Law and Administration of Justice. It is statd in the petition that the Conversations substantiate that few of the corporate houses have been the major perpetrators of Corruption and Frauds against Public in collusion and nexus with the Politicians and higher government officials of the country. The Conversations allegedly expose many major scandals that were aided by the strong political-corporate nexus that existed at that point of time, in favour of the Respondent Companies. These recorded conversations allegedly reveal, the magnitude of the corporate scams in India, their ethical implications and adverse impact on the Public at large. The Writ Petitioner filed a Complaint on 01.06.2016 before the Prime Minister of India with a view to initiate high level inquiry and investigation through credible investigating officers so that the petitioner could pass on the incriminating material evidence in their hands. It was mentioned in the Complaint filed to PMO that the evidence will be kept safely and that the CDs and conversation will not be given to anyone who may use the same for any anti-national and any anti-establishment proposes or to those who may like to exploit it for their personal benefits or for damaging the interest of our nation. According to the petitioner, he is constrained to move the High Court because even after the filing of the complaint on 1st June 2016 before the Prime Minister of India, the Government agencies have failed in initiating the high-level investigation to examine this sensitive matter. He has stated that the continued possession of incriminating data and the recorded conversations has endangered the safety and security of the Petitioner, other than his fear of the same data and records being mutilated and destroyed for the purposes of scuttling the process of law and any further investigation in the case. Issue an appropriate order or direction in the nature of Writ, ordering a thorough Court monitored inquiry or investigation by Special Investigation Team (SIT) to be held in the entire case, covering all aspects i.e. alleged acts of illegal phone tapping, interception and recording. in lieu of their confessions in the commission of wrongs as made in the recorded conversations. Issue appropriate writ, order or direction union of India or State Government concern to recover the windfall profit or gain, if any, due to nexus with the higher Government officials or Politicians with Top Corporates or any other undue advantages if taken by the any of the person involved in this issue. Issue an appropriate order or direction in the nature of Writ, directing the Respondent No-1 to provide security of armed/pare-military personal (CRPF, CISF, etc.) to the Petitioner for such period, this case is investigated, proceeded and finally disposed, so that Petitioner’s life and personal liberty could be secured in view of evident threat from any person who may have vested interest in tampering or distroying the crucial evidence in the case. Issue an appropriate order or direction in the nature of Writ of Habeas Corpus directing the Respondent No-1 to produce the corpus of Respondent no-3 for the purposes of securing the crucial evidence and the said Respondent’s presence and availability, being a material witness thereby ensuring the judicious outcome in the case.